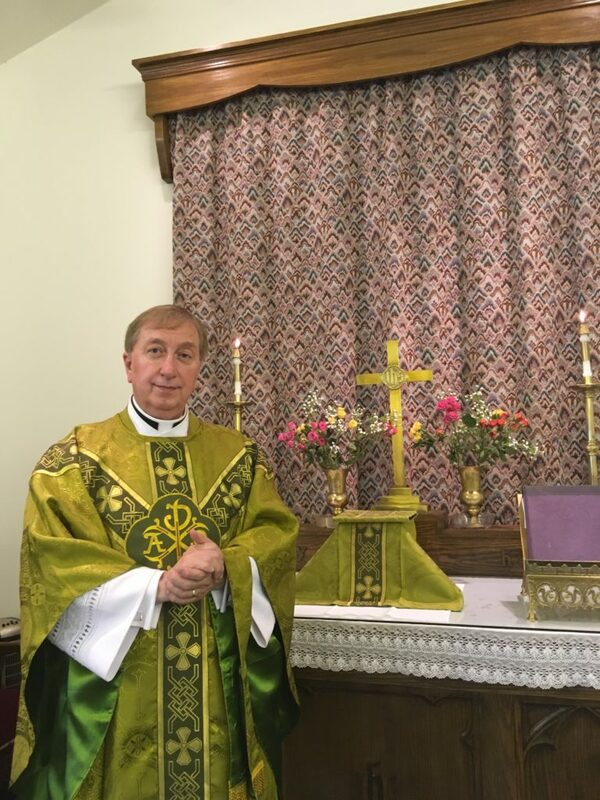 Father Fred Erb, our Priest-in-Charge, welcomes you! For your convenience, our most common inquirer questions are answered right here. Not finding what you want on this page? Reach out directly through our Please Contact Us! page. Q: I am new to the community. Why should I visit St. Thomas of Canterbury Church? A: Our congregation is friendly, and our worship is formal and traditional. It’s likely that many of our hymns will be familiar to you already. You’ll find the sermons reverent, informative, and (hopefully!) inspirational. So whether your background is mainline Protestant, Roman Catholic, Orthodox, or no church at all, there’s a very good chance you’ll be right at home with us here at St. Thomas Church. Q: I am a lifelong Episcopalian, baptized and confirmed. Lately, however, I haven’t been going regularly to church. Why should I consider attending Saint Thomas of Canterbury Anglican Church? A: Sadly, today, there are many reasons one might choose to stay away from church. One of the most common reasons for not attending church regularly, is social pressure. Another is sloth (which, in this case, means laxity or “just not getting around to it”). We all like to think of ourselves as individuals, but if what we do is simply following the predominant forces in our culture, is scarcely individualistic … and there’s probably a reason for it! Could it be, in a word, the social pressure to conform? We live in a time and place in which non-Christian (and some anti-Christian) cultural elites have become increasingly frank and open in their hostility toward formal religion (especially traditional, evangelical Christianity). If we are truly individuals, then perhaps it’s high time to visit an unapologetically traditional Christian community like St. Thomas of Canterbury Anglican Church! Q: What is the Anglican Church? A: To be Anglican is to be rooted in the traditions of the English Church; but of course today the Anglican Church is truly worldwide and welcomes all. Traditional Anglicanism comprises one of several branches of the One, Holy, Catholic, and Apostolic Church, in which Christians profess belief whenever they use the words of the Nicene Creed. Jesus Christ personally established his Church, and the traditional Anglican jurisdictions are a faithful part of that august body. They trace their lineage to the ancient, undivided Church, through the Church in England, and in some cases, through the Episcopal Church USA and the Anglican Church of Canada. Q: I was brought up in the Christian faith, but my children seem to be more influenced by their cultural surroundings. At first I thought it was okay, but lately they’re becoming more secretive and rebellious. How can church help? A: Your children’s “formation” in the Faith is more important than most parents ever imagine — until often it’s too late! The Christian values children receive in Sunday School, Bible School, and most importantly, Confirmation Class, as well as various church-related youth groups and activities, helps form character in ways that make a huge difference in their lives as time goes by. There is no substitute for church in our culture. Q: My spouse and I were brought up in different denominations. We’re hoping to discover a church that is right for our entire family. What makes St. Thomas exceptional? A: We like to think that traditional Anglicanism in general, and St. Thomas of Canterbury Church in particular, offers an unmatched balance of liturgical perfection and Scriptural soundness that makes our expression of the Christian faith truly exceptional. The Anglican Way has and maintains both catholic and reformation roots. It offers a unique via media or “middle way” — which is an attractive blend of prayer and praise that can strongly appeal to persons of Catholic and Protestant background. Q: Okay, I’m interested in taking my spiritual life to a higher level! Can you help? How do I get started? A: In some ways, everyone is unique. In others, we are all the same. We are all Children of God; and it is the same God who creates, redeems, and sustains us, the same God who has “hard wired” into our “human nature” an ability to discern our spiritual path. The Church can and ought to be our necessary guide to learning Truths that will help us along the spiritual path. The Church is indispensable in forming our consciences and improving the health of our souls — that very part of us which will endure. Come, visit us often! Bring your family — parents, spouse, and children. Make yourself known to our priest. Father Fred will be more than pleased to talk with you about your spiritual needs.